The number one question I receive on almost a daily basis is: should I hire a resume writer, and how do I know which resume writer to hire? If you haven’t job searched in the last 5-10+ years, then you most definitely need to partner with a qualified resume writer. The job search process has changed dramatically, and a qualified (emphasis on qualified) resume writer can truly accelerate your job search as well as reduce your job search stress. We hire various experts everyday – from mechanics, to hairstylists, to personal trainers, to even nutritionists. WHY? Because they are experts at their craft. A professionally written resume gives you a 40% greater advantage of being seen by a hiring manager. And, more than 60% of executives hire a trained resume writer today. A trained resume writer is NO different than one of the aforementioned experts. Unlike some professions where you need a specific degree and license to practice the craft (such as law or medicine), the resume industry is not regulated. 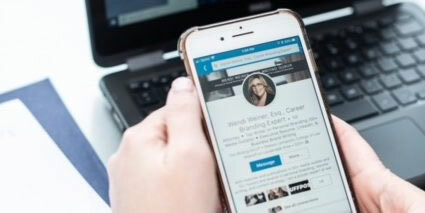 In the digital age, anyone can put up a website, a LinkedIn profile, and call themselves a resume writer, career coach, or job search coach. Understand that it takes YEARS to master the craft of resume writing and the career industry. It’s more than just great writing or editing skills. 85% of resume writing is strategy: knowing the target of the client’s career, understanding their background in massive detail, and writing a document that strategically markets them. There are thousands of resume writers and coaches out there. I believe strongly in educating the population about the resume industry. I spent 3 years on the board for the National Resume Writers’ Association (the only nonprofit organization in the industry) whereby I mentored younger resume writers, spoke at annual conferences, and also served as the President-Elect and Ethics Chair of the organization for 10 months to help promote the ethics and image of the industry. Not everyone will actually take the time to be transparent and tell you the pitfalls to look for and what to consider when deciding on hiring a resume writer. I want to warn you of the resume scams that are often found on the internet today and how to avoid falling for them. Verify all credentials of executive resume writers before working with them. Verifiable credentials include resume writing certifications, membership in professional associations, publications, advanced degrees, and an established or long-standing career background. For executive resume writers, that long-standing career background is extremely important as you’ll want to work with a writer who has had an executive career and is well-positioned to write on a sophisticated level to market your own executive career. Most executive resume writers will have 10-20+ years of experience focusing on top-notch executive clients. Check links to publications and verify that the person is actually quoted in the publication or is a “writer” for the publication. Someone who is a writer for a publication will have their own column (see my column in the HuffPost). You can also contact the publications to verify this information too. I have seen instances where writers have an “as seen in” on their website, but they have never been featured in that publication, or the links do not populate on a simple Google search. Anything fraudulent or misrepresented about a writer’s credentials should raise a red flag immediately! These sites have databases for you to research writers and coaches as well as the ability to review the certifications they offer. Look to see the types of clients the writer partners with. If you are an executive, you will want to partner with a writer who works exclusively with executives as the style of writing is far different that a standard or young professional. If a company is reviewing other resume services companies (i.e. competitors) in blog posts on their websites, chances are they are just trying to do quick shortcut to fast growth. This type of “piggyback marketing” can be easily seen in companies who repeatedly write Top 10 lists and Best 10 lists to troll other resume writers for SEO, yet attempt to conceal the fact that the author of the article is the same entity that is listing itself in the #1 spot. This is a deceptive marketing practice that violates FTC guidelines. Remember, you can’t replace fast growth with long-established rankings that evidence true expertise and credentials. Anyone who is being coined the “#1 Executive Resume Writer” or “#1 Executive Resume Writing Service” is not going to base it on a self-appointed ranking. It’s going to come from a third-party publication, source, or established organization. Consider if the writer partners with top career blogs, leading publications, and has a widespread presence on social media (not just LinkedIn but also Twitter, FB, Instagram) to share their innovative writings and ideas. Google the writer’s name, and see what information populates under a general search as well as the “news” tab. Consider what the writer is doing to establish a strong presence in the industry through larger involvement on a national or international level. Look to see what content they are truly putting out there to showcase their knowledge and value. Have they been recognized with awards in their industry for their knowledge? How do others view them? Are they just writing pointless articles to piggyback on the SEO of other well-established companies? Are they trying to “game” the system and build large followings on LinkedIn or build real influence across multiple platforms? Read: Don’t Rank Me in the 5 Best Resume Services in Salt Lake City, UT regarding fake reviews of resume writers. You can also read my true story about how I fought back against fake reviews from a resume competitor Mike Podesto. It takes years to build your name from the ground-up and established executive resume writers are no stranger to this rule. If your company just started collecting reviews 10 months ago, incurring 100 reviews on a third-party site is not plausible, particularly for an executive audience. Most senior executives will not publicly disclose that they hired an executive resume writer, and they will not be surfing third-party sites to write reviews of companies on a regular basis. Most executive clients come to me based on a referral or other source (i.e. bar associations, law schools, etc.) Look to the frequency of the reviews, and how they are written. For example, I have over 100 reviews combined on Google, Yelp, and LinkedIn, but my reviews began accumulating in March 2014. That’s almost 5 years ago already, and I have written over 1,000 resumes, so that’s about 10% of my client base — a very fair and reasonable number. Again, look at how far the reviews date back, and if they seem too good to be true, they usually are. When looking at recommendations on LinkedIn, be sure to analyze the reviews written and what that other person’s connection is. Are they just a friend trying to bolster their friend’s business or are they an actual client? Most importantly, double check to make sure that the writer is not having his/her staff/employees write fake testimonials to deceptively market or advertise the company’s brand. This is also a deceptive marketing practice and violates Federal Trade Commission Guidelines. If the company is not disclosing who the owner is of the company or who the writers are, there is something fishy going on. Don’t be afraid to ask the name of the writer or owner of the company, how old they are, how long they have been writing for, and how long the company has been in existence. All of this matters. Don’t risk investing hundreds or thousands of dollars in a service that doesn’t stand behind their name with a face on the front. Google your writer’s name, learn about your writer, and don’t be afraid to ask for resume samples and written testimonials outside of the writer’s website OR one of the third-party sites. Do a deep dive into the writer’s own career background as well. What did they do before they were a resume writer? What industry experience of theirs will be helpful when working with you? How long did they work in a particular industry to develop their own career? What is their educational background and will that help you? At the end of the day, it’s important to do your homework, your research, and go with the writer you feel most comfortable with. If you are concerned about hiring a resume writer, feel free to book a consult with me, Wendi Weiner, The Writing Guru. I maintain a large network among the top executive resume writers and we commonly refer clients back and forth to one another that we deem a better fit. 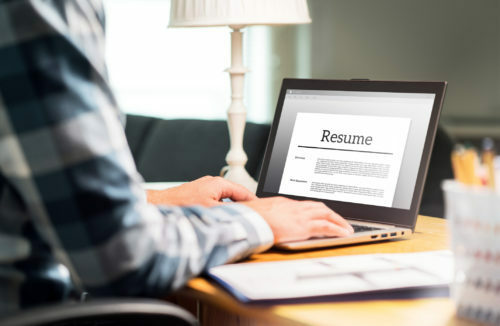 There are also a lot of resources out there discussing how to vet through lists of top executive resume writers and pitfalls to watch out for when conducting your search. Feel free to also check out some of my posts in Thrive Global. This entry was posted in Resume Writing and Tips and tagged avoid resume scams, best 10 resumes scam, research resume services, resume writing scams, the bright side of being trolled, top 10 executive resume services. Bookmark the permalink.